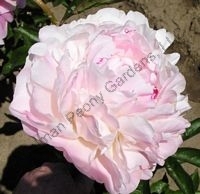 Blush, double, fragrant, midseason, 34" tall, lactiflora. 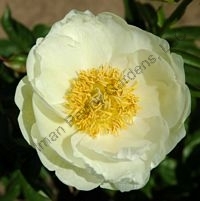 Opens blush and matures to ivory-white. A large flower with a lovely fragrance. Crimson flecks on some petals. APS Gold Medal Award 1987. Pink, single, early, 30" tall, hybrid. 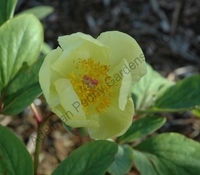 A delicate looking single bloom with deeper pink carpals in the center ringed with yellow stamens. Pink, japanese, midseason, 36" tall, lactiflora. 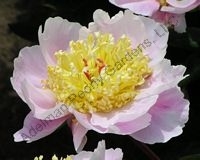 A creamy mix of pink-yellow stamenoids glow inside cupped jaunty pink petals. Carmine-red, semi-double, midseason, 20" tall, hybrid. 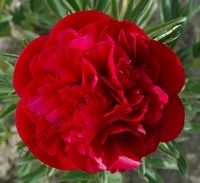 A glowing red, tulip shaped flower on a rounded, tidy, dwarf plant suitable for borders. 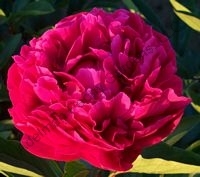 Ruby-red, double, lightly fragrant, late-midseason, 36" tall, lactiflora. 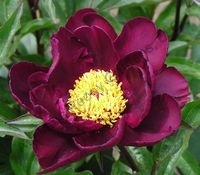 Large, luscious velvety red flowers that are fully double and resist fading. A favorite of mine. 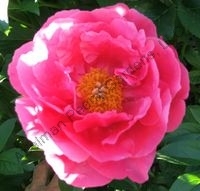 Shocking pink, semi-double, early, 35" tall, hybrid. 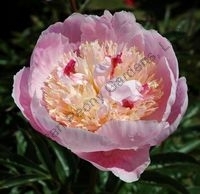 A lustrous pink semi-double that lights up the garden and your spirits early in the season! APS Gold Medal Award 1988. White, single, lightly fragrant, very early, 18" tall, hybrid. 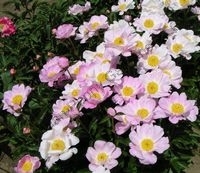 Milk-white petals are rounded and edged deep magenta-pink. Charmingly dwarf plant with rounded foliage and crimson stems. 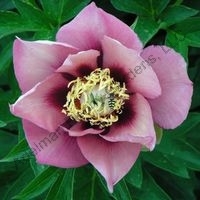 Dark pink, double, midseason, 33" tall, lactiflora. 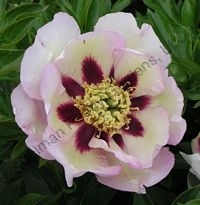 A cross of Kansas x Sarah Bernhardt that has darker paint flecks on the petals. Red buds, strong stems. 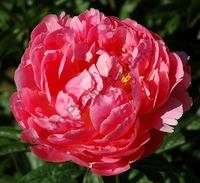 Vivid pink, full double, lightly fragrant, very late, 36" tall, lactiflora. Huge blooms with silvered petal edges. A very late season bloomer. 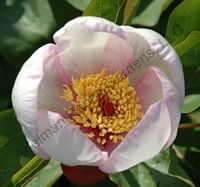 Blush, single, midseason, 36" tall, lactiflora. A lovely single that opens pink and fades marble and then white. Heavy bloomer. 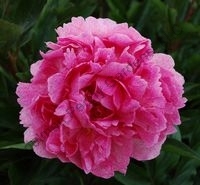 Delightful flower!